guests. Family room has leather reclining sofas, flat-screen TV with cable, VCR, and DVD player. 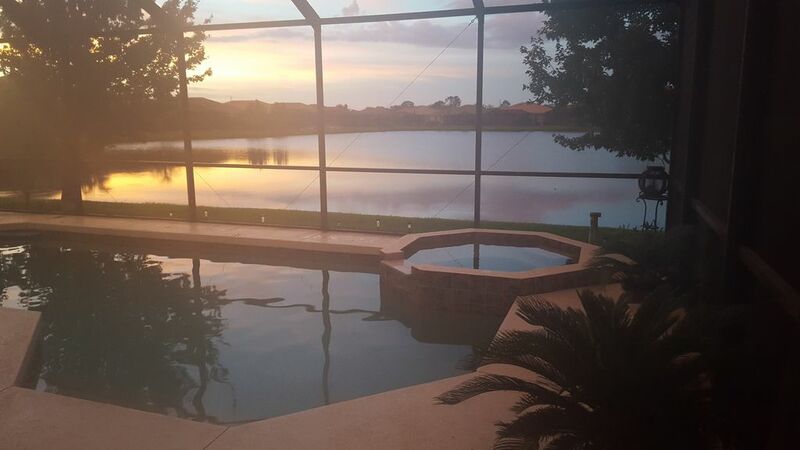 Lanai, pool and hot tub situated on center of lake. This is our 5th time vacationing in this home. As the title of my review days it is our home away from home. The house is in a great well cared for community. It is located close to golf, shopping and outstanding beaches. The house has every amenity you would ever need. The home owners are a true pleasure to deal with. Universal Studios, or any one of the many water parks for a change of scenery.